Hypnosis is a naturally occurring state of awareness. It’s a state of calm and relaxation. And it’s more common than most people realise. Many clients are surprised to discover that we go into hypnosis often during a typical day – but we’re unaware that it’s happening. Like when you hear a song and recall a long-forgotten memory. That’s hypnosis. Or when you think about your favourite food and your mouth immediately salivates. That’s hypnosis too. You’re probably already aware that your mind works on two levels – the conscious and the unconscious. The conscious is rational, analytical and logical. It’s our critical faculty. Our unconscious is by far the larger part, and it’s very imaginative. It houses our emotions, our memories and controls our habits. 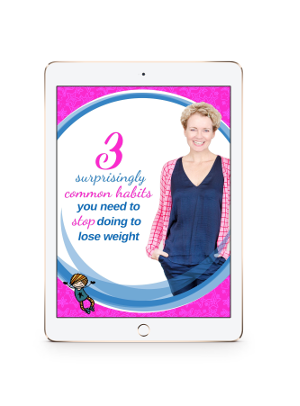 Most of us have had the experience of knowing logically that we need to change something, like reducing our sugar intake or drinking more water, but we just can’t quite make ourselves do it. It’s like your conscious and unconscious are in a tug of war. Fortunately in the state of hypnosis, we’re communicating directly with the unconscious mind, resulting in both minds pulling in the same direction, meaning that change feels logical and easy. How can I tell when I’m hypnotised? It depends. You see there’s no such thing as a universally acknowledged ‘hypnotised feeling’. Some people are more aware of changes in their bodies than others. Some people experience physical sensations of light or heavy limbs. Others feel floaty or tingly. It also depends on how deep into the hypnotic state you allow yourself to drift. Some clients remember every word, others recall very little. Some people lose track of time. Some people think that if they stop hearing me talking, then they must have fallen asleep. Other people think if they can hear me talking all the time, they weren’t really hypnotised. We’re all different, and we all experience hypnosis differently. And whether you go deeply, or experience a lighter level – either way, is fine. It feels lovely! Many people notice their limbs feel extremely heavy or very light. Others feel like they’re very focused but also “a million miles away”. Most people feel rejuvenated and enjoy the hypnotic state very much. A recent client said, “It’s just like a mental massage, I could stay here all day”. Yes, everyone can be hypnotised – even people who think they can’t. We move in and out of hypnosis many times each day without realising, like while watching the telly or driving a familiar path. But above all, you must be willing. You can only be hypnotised if you are willing. No-one can hypnotise you against your will. Nobody puts anybody into hypnosis because all hypnosis is self-hypnosis. Hypnosis is a cooperative state between the client and the hypnotherapist. I will guide you into hypnosis using certain words, phrases, and various techniques like deep breathing, imagery and tone of voice. You see hypnosis is not a method of me magically controlling your mind. Instead, it’s a way of you learning to have more control of your own. What is the difference between stage hypnosis and hypnotherapy? They’re very different! The hypnosis is the same – but the therapy is different. Stage hypnosis is about entertainment and comedy. The participants are specifically chosen for their high level of extrovertism and willingness to perform in public. As a clinical hypnotherapist, my sole purpose is to help you be the shape and size you want to be, to help you free yourself from unhelpful habits. Will you make me do embarrassing things against my will – like in the movies or on stage? Nope. Clients are often nervous about the idea of ‘mind-control’. It’s a myth propagated by stage hypnosis entertainers who like to push the rather silly idea that they have complete power over the participant. What we see in the movies is pure and utter fantasy too. Your mind has natural defences against harmful suggestions and will always protect itself. In our sessions together you’ll remain in control all the time. Haha, you’ve been watching too many hypnotic stage shows! I promise there’s no clucking chickens in my office. We’ll be using hypnosis to help you change unhelpful habits. No hypnotherapist can make you do anything that goes against your fundamental value system because your unconscious has natural defences built in which will automatically reject any suggestions it deems harmful. The unconscious mind is clever like that. Nope. In our sessions together you’ll remain in control at all times. How deep will I go? Again, it depends. It depends on you and how willing you are to enter into the hypnotic state. Some people are naturally able to enter a deeper hypnosis, especially if they’ve experienced hypnosis, or practice yoga or meditation. It’s less important how deep you go, just how willing you are. How much will I remember? It depends. Some people consciously remember every single word, other people recall very little, especially if they went into a particularly deep state. But the unconscious mind – which is the part of your mind responsible for change – remembers everything. Will I be awake or not? Hypnosis is a state of awareness between awake and asleep. Sometimes conscious processing stops altogether but more frequently you’ll experience a ‘there, but not there’ feeling. This means that the conscious part can still think and analyse, even as your unconscious mind responds to suggestions. Often people may not believe they are in hypnosis but are pleasantly surprised to find that they no longer wish to overeat or consume soft drink – or whatever was their goal. So, being hypnotised may feel different, or it may feel quite normal because, well…it is. Nope. You’re in control, and you cannot get stuck in that wonderfully relaxing state, unfortunately. People getting ‘stuck’ is another myth propagated by Hollywood. Do I have to believe in hypnosis for it to work? Funnily enough, no. Many people are skeptical initially – I was. As long as you’re open-minded enough to listen, be open and give it the opportunity to work. Clients are always pleasantly surprised at how wonderful it feels, and how effective it is. What if I am too strong-willed to be hypnotised? Another common myth of hypnosis. Once upon a time, it was believed that only weak-willed people could be hypnotised. Now we know that hypnosis is a cooperative state between the client and the hypnotherapist. No-one can be “forced” into hypnosis because all hypnosis is self-hypnosis. It’s about being open and willing. 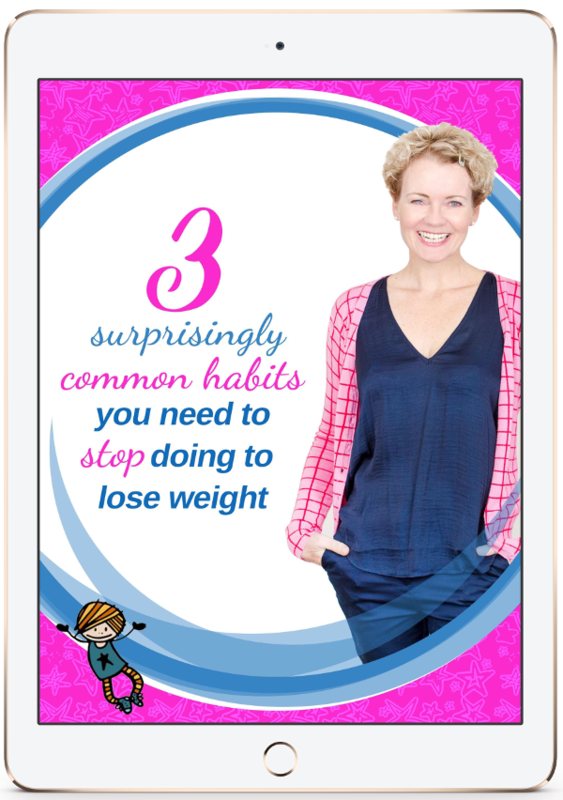 Would you rather be considered strong-willed and keep the unhelpful habit? Or be open-minded and change the habit for good? I’m an ‘active relaxer’ – will that hinder hypnosis? Even if you think you couldn’t be completely relaxed during a hypnotherapy session, that’s OK. Relaxing helps, but is unnecessary as the suggestions will enter your unconscious mind whether your muscles in your body relax or not. I saw a hypnotherapist years ago but I didn’t feel hypnotised. Was I? Before studying hypnotherapy, I’d amuse myself watching hypnosis shows on telly. I assumed that hypnosis participants must feel ‘under’ or ‘drugged’ or ‘out of it’ – because why else would someone cluck like a chicken in front of an audience? But hypnosis is a naturally occurring state, we all experience it differently and stage hypnotists pick extroverted subjects for a reason. It’s very probable you were in the state of hypnosis, but because you expected to feel ‘out of it’, you assumed you were not. Are people who can easily be hypnotised weak-minded? Quite the opposite! A weak-minded person would be incapable of maintaining the focus and concentration necessary to go into hypnosis. Will hypnosis make me weak-willed? I expect that you’ll support yourself 100% and that you’ll do everything you can between sessions to help ensure the success of your treatment. That means working in partnership with me and doing any homework that’s requested. Clearly, I’m not your mum, I can’t make you do your homework, but why wouldn’t you? I consult from Beachlands, Auckland. I also provide Skype, Facetime, or other technologically-enabled sessions to the good folk who live aboard or in the regional areas of New Zealand. Global Weight Management Federation and a member of New Zealand Association of Neuro Linguistic Programming. Hat tip to the hundreds of clients who have found and continue to find the courage to ask these questions – even when they didn’t want to be the one to ask the silly question. And acknowledgement to Sheila Granger, Grant Boddington, and the teams at Uncommon Knowledge and The Coaching Institute for helping provide the answers.